Answer the call to brawl and decide the fate of the galaxy. 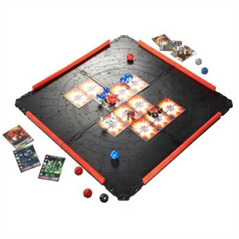 These small spheres magnetically morph into powerful Bakugan warriors when they roll onto the real metal Gate Cards. Use strategy to place your metal Gate Cards effectively as each card affects the battle differently. 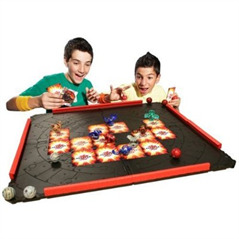 Then master your precision shooting skills to roll your Bakugan into battle and win. Cards and figures not included. 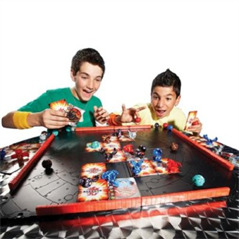 Help your nephew be the coolest kid on the block with this Bakugan Battle Arena! 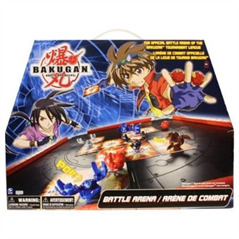 Bakugan figures and cards are sold separately and they'll need those to play.